Zion National Park officials say a 13-year-old girl has fallen to her death from a popular narrow trail bordered by steep drops. 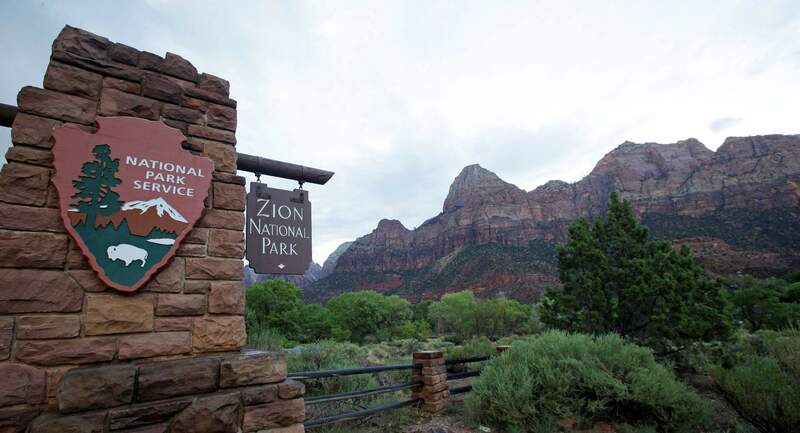 SALT LAKE CITY – A 13-year-old girl fell to her death from a popular narrow trail bordered by steep drops at Zion National Park, officials said Tuesday. The Utah girl was hiking with family when she tumbled from the Angel’s Landing Trail on Monday evening, park ranger John Marciano said. She was quickly discovered by hikers on the West Rim Trail below. Angel’s Landing was closed Tuesday morning to investigate the fall from the path that ascends some 1,500 feet above the southern Utah park’s red-rock cliffs. There has been about one death each of the last two years on the trail, Marciano said. The girl had done the hike before, and the trail was clear of ice and snow. “It was just a beautiful day. It’s at time you wouldn’t expect anything to happen,” Marciano said. It did not appear that anyone had witnessed the fall, he said. The girl’s name and hometown were not immediately released. The iconic trail offers sweeping views of the red-rock park in southern Utah and has become especially popular among visitors inspired by social media posts. But it also comes with dire safety warnings about the danger of falls, Marciano said. Anyone with young children or problems with heights is advised not to make the trek, he said.